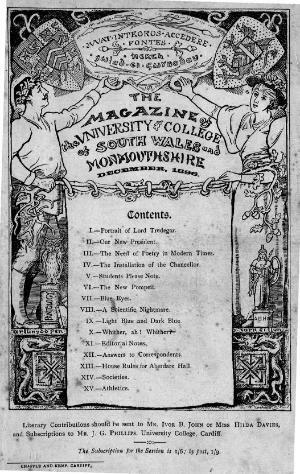 The general periodical of the University College of South Wales and Monmouthshire, Cardiff. The periodical's main contents were news from the university and articles on general subjects. It was published triannually between 1888-1898 and five times a year between 1898-1903. Amongst the periodical's editors was Charles Morgan. Associated titles: Cap and Gown (1903).